Driven by wartime urgency, the building of the Alaska Highway remains an epic accomplishment, 75 years later. The highway began as a dream. In the 1920s, the United States wanted a route through Canada to connect Alaska – its largest and most sparsely populated territory – with the 48 states south of the 49th parallel. Some 800 kilometres of land lay between Alaska and the rest of the US. With no overland way across northern BC and the Yukon to Alaska, the northernmost US state was reliant on air and marine transport. Back then, Canada was just not interested – there was little to be gained, and the next decade brought the Great Depression. That all changed when the Japanese bombed Pearl Harbour, Hawaii, on Dec. 7, 1941. The US entered the Second World War and a supply and defence route became critical to both nations. 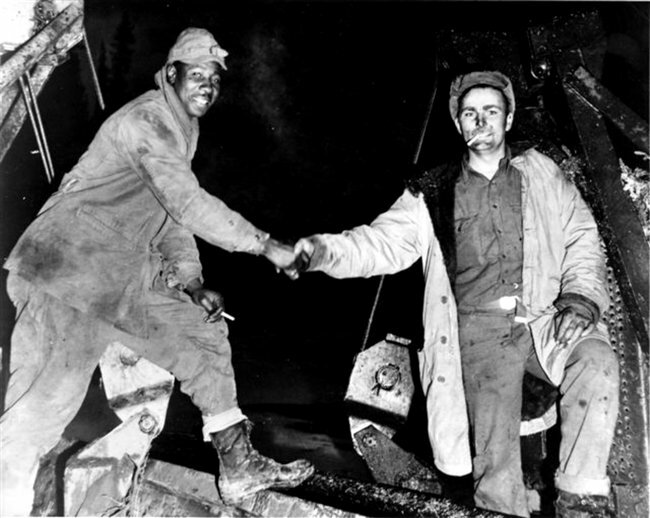 Canada agreed to building of the Alaska-Canada highway, on the condition that the United States foot the bill, and that the route be turned over to Canada after the war. In March 8, 1942, hundreds of pieces of construction equipment arrived by train at Dawson Creek. 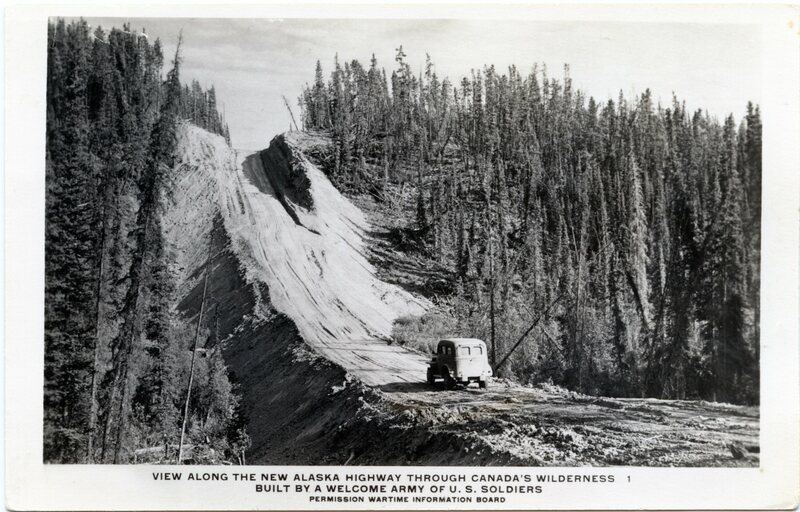 More than 10,000 American soldiers were stationed by US Army Corps of Engineers, in Alaska, BC and the Yukon, to build the highway starting from different locations. If the highway was a dream come true, the making of it was a nightmare. The northern winter was harsher than most of the soldiers had ever known or could have imagined. The summer brought sweltering temperatures, choking dust and bloodthirsty masses of mosquitoes and blackflies. The soldiers worked seven days a week pushing a road through unmapped forest and bush, and around mountains. With the extra “daylight” of the midnight sun lasting 24 hours, crews worked double shifts, and 643 kilometres of highway were laid down in July alone. 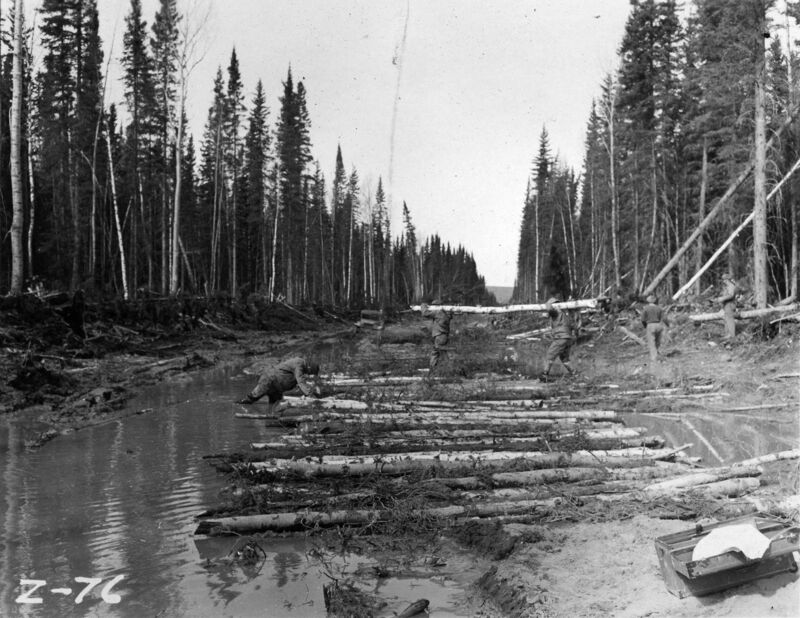 Possibly, the most frustrating factor was the muskeg, decaying swamps of vegetation which could – and did – swallow roadbuilding equipment whole. Attempts were made to “corduroy” over the soggy ground with felled trees, and cover the trees with fill. Some corduroy sections were up to 15 feet deep. Road building on northern terrain was new to the engineers who discovered that when they removed the ground cover, the permafrost below would melt, and sink the road and machinery. They then changed the construction method to covering over the exposed road base with fill, before thawing could start. Although plans were to build the route 36 feet wide the first year, it was actually only 12 to 18 feet, according to a video from the Milepost. About a third of the US soldiers who worked on the highway were African American, and for them, the hardships were exponential. In addition to working and living separately from the other soldiers, they were segregated from local communities, and did not receive the same calibre of equipment as the others, often working with hand tools instead of machinery. They mostly slept in tents while the other soldiers more often had wooden housing. Their story is also being researched by acclaimed Canadian author Lawrence Hill. 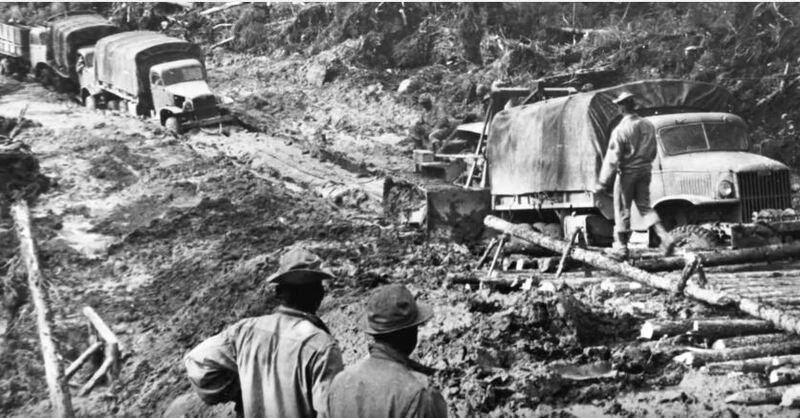 The army then turned the road over to the US Public Roads Administration, which hired private road contractors to upgrade selected sections of the road, and install steel bridges. In 1946, the Canadian section was transferred to the Canadian army. Things improved in the 1960s and 1970s, when the provincial government paved from Mile 0 at Dawson Creek, to Mile 83, and eventually the remainder of the route to Delta Junction, Alaska was hard surfaced. 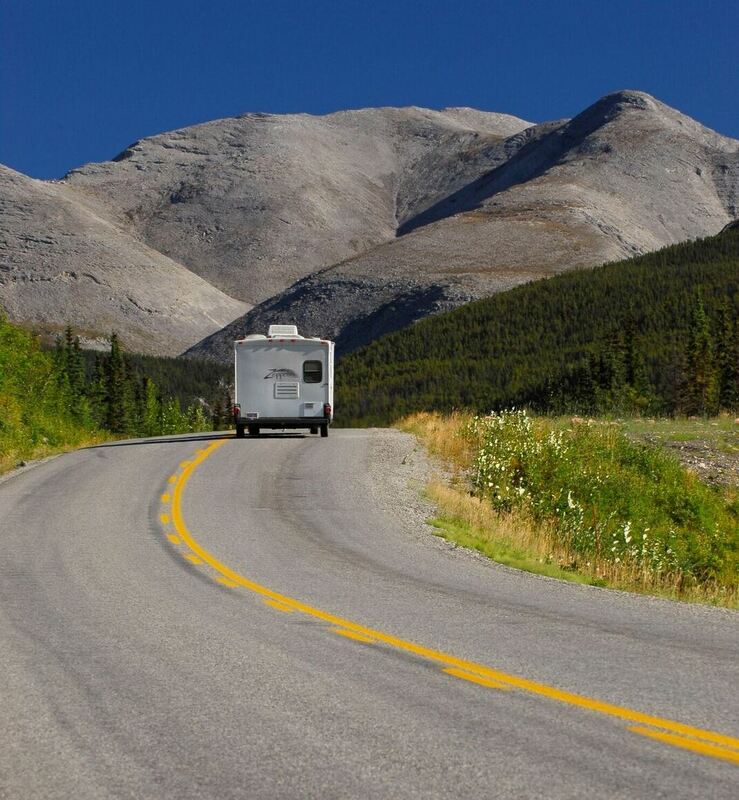 The Canadian portion is now managed in sections by the BC Ministry of Transportation and Infrastructure, the federal government and the Yukon government. What was once driven by dire wartime concerns for security and freedom, the Alaska Highway is now a supply route to industry, a lifeline to communities and a road to adventure for explorers. The heroic efforts by a group of men 75 years ago, who built a 2,400-kilometre route through wilderness and extraordinary hardships, in only eight months, will always be the foundation of this storied route. Check out more fascinating information about this historic and awesome engineering achievement, including a 1944 documentary produced by the U.S. Army, a US War Department film highlighting construction, a video produced by the U.S. National Park Service showing bridge building by soliders wading chest-deep in water and listings of celebratory events planned for this summer. We acknowledge the many sources of information for this article – which include National Geographic, the Milepost, the National Film Board of Canada, Military Officers’ Association of America, The US Department of Defence, The U.S. Army Corp of Engineers, The Alaska Highway 75th Anniversary Group, History Net (J. Kingston Pierce ) and Lisa Bush. Hello My name is Lorne Lillico and my father was Gordon Lillico. In 1941 my fathers Dad died of influenza in Baytree leaving my father, at 16, as the oldest of 8 kids. To make ends meet and do his part for the war Dad signed up at 16 of age, to go fight the war. They do not send 16 year old to battle so they signed him with the United States Army Engineers in northern BC. He was to assist the US forces in building the Alcan Highway. He worked on the road from 1941 to 1944. When he was old enough to go over seas, in 1944, he was offically enroled in the Canadian Army. He talked mostly about working on Steamboat Mountain, when he would talk about any of it. I have quite a few of his pictures but unfortunatley not to many notations on them, but are still interesting to thumb through. |He was a truck driver and maintained the equipment after and while the road was being built. He talked about the fires under the motor, tansmition and rear end gear boxes, truck falling threw the muskeg, pet bears in camp, etc. They were fed in the camps and had plenty to eat, but the excess food was thrown out in the ditches. 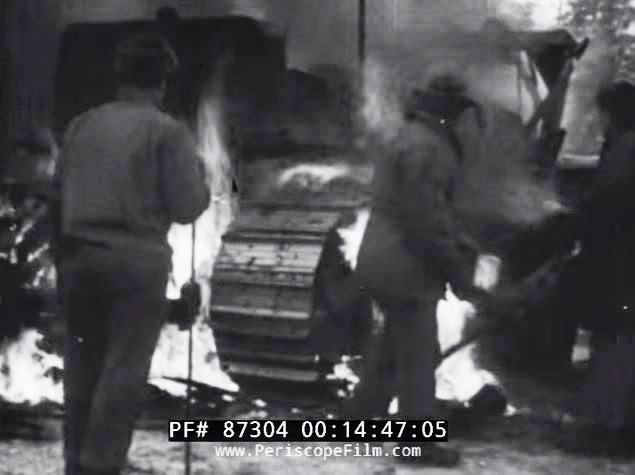 This food was salvaged by the local people in need, but when the US Army found this out they started to pour gasoline on it to make it unpalitable. With 7 brothers and sisters at home this was quite a blow and incomprehensible to my father. He never forgave them for that.. Thank you for sharing your father’s experiences, Lorne. We really appreciate hearing from someone so close to this history. I worked on the Alska Highway from Dawson Creek to Ft Nelson in the summer of 1961 – striping the newly finished paved section. The mosquitoes were horrible and the rabbits plentiful. Many times we had to stop to move a squashed rabbit in order to stripe. We stayed in Dawson Creek and worked at least 10 hours in order to spot and paint the highway. I was a UBC student then and had to leave for school in early September… but I enjoyed working with the paint crew. Thanks for sharing this with us Peter! We love hearing people’s stories about this iconic road. Awesome article, thank you! I remember as a young girl in Ft St John, all the tourists heading north who strapped tires around their vehicles/campers for protection and in anticipation of blowouts. As an adult, in 1986, I finally got to travel the complete highway and toured around for a couple months before returning with the original tires! The trip was great!!! Thanks so much for sharing your memories with us, Darlene.